Jean-Baptiste Barrière (born in January 2, 1958 in Paris) studied music, history of art, philosophy and mathematical logic. Parallel to composing, he made a career at Ircam/Centre Georges Pompidou in Paris, beginning in January 1981 as researcher. From 1984 to 1987, he directed Ircam’s Department of Musical Research, from October 1989 that of Education, and from 1993 to 1997 he headed the production department. 1997-98, he taught computer music composition at the Sibelius Academy in Helsinki. 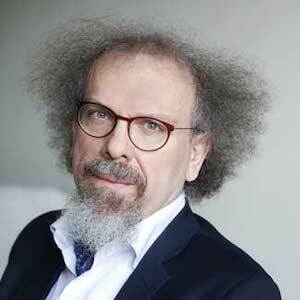 In September 1998, he left Ircam to concentrate on composing. Since winning the Prix de la Musique Numérique of the Concours International de Musique Electro-acoustique of Bourges in 1983, Barrière went on to compose the music of several multimedia shows, virtual reality pieces, sound environments, exhibitions, and multimedia art projects. 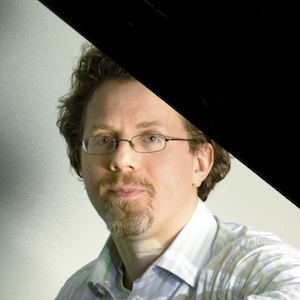 He was Visiting Professor at Columbia University in 2011-2012, and returned there as Composer in Residence of the Computer Music Center for 2013-2014. Latest major performances include video design for The Tempest Songbook a multimedia show on the music of Saariaho and Purcell, at the Metropolitan Museum of New York in February 2015, with the Martha Graham Dance Company choreographed by Luca Veggetti, and The Gotham Chamber Opera; Whispering Bayou, a large interactive installation conceived and realized with George Lewis and Carrol Blue at the Contemporary Art Museum of Houston during the Summer of 2015; portraits concerts at Schœnberg Hall in Los Angeles and Hertz Hall in Berkeley, as parts of a California tour during the Fall 2015; in the same period, he was the first grantee of the David Wessel ‘s Music & Science Prize of the Center for New Music & Audio Technologies / Music Department of the University of California Berkeley. Recent projects include the Premiere by Jennifer Koh of Palimpsest Capriccio for violin and electronics at National Sawdust (New York) in May 2016; the video design for a portrait concert dedicated to Saariaho’s music with the New York Philharmonic conducted by Esa-Pekka Salonen at the Armory in New York during October 2016; the realization of Sensation/Eternity, a multimedia piece for the C4 Choir Ensemble, on two poems by Arthur Rimbaud, premiered in November 2016 in New York. He has also started, during the Fall 2016, an artist residency at the New School in New York to realize a large interdisciplinary project involving several departments of this university, The Art of Change. He is currently working on the multimedia show The 38th Parallel, with violinist Jennifer Koh, flutist Camilla Hoitenga, and baritone Davone Tines. 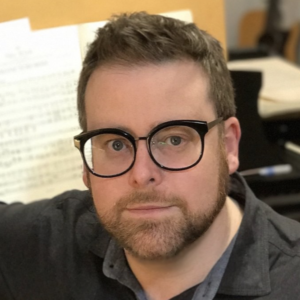 David Ludwig (born 1974, Bucks County, Pennsylvania) is “a composer with something urgent to say” (Philadelphia Inquirer). His music has been described as “arresting and dramatically hued” (The New York Times) and “supercharged with electrical energy and raw emotion” (Fanfare). Ludwig has written for many prominent artists, including Jonathan Biss, Jennifer Koh, the Dover and Borromeo quartets, eighth blackbird, ECCO, and orchestras including the Philadelphia, Minnesota, Pittsburgh, and National Symphonies. In 2013 his choral work, “The New Colossus,” was selected to open the private prayer service for President Obama’s second inauguration. In 2012 NPR Music selected him as one of the Top 100 Composers Under Forty in the world. This season’s highlights include the premiere of a concerto written for pianist Anne-Marie McDermott, commissioned by the Bravo! Vail music festival in honor of their thirtieth anniversary. Ludwig was also awarded a prestigious Pew Center for Arts and Heritage Performance Grant to support the creation of The Anchoress, a new song cycle for the PRISM Quartet, Piffaro “The Renaissance Band,” and soprano Hyunah Yu. The work will open the 2018 season for the Philadelphia Chamber Music Society. Recent highlights include a violin concerto written for his wife, acclaimed violinist Bella Hristova; the concerto was commissioned by a consortium of eight orchestras across the United States. Other recent commission and performances include Titania’s Dream for the KLR Trio, Swan Song for Benjamin Beilman commissioned by Carnegie Hall, and Pictures from the Floating World commissioned by the Philadelphia Orchestra for bassoonist Daniel Matsukawa and conductor Yannick Nézet-Séguin. Ludwig is the recipient of the First Music Award, a two-time winner of the Independence Foundation Fellowship, and a Theodore Presser Foundation Career Grant, as well as awards from New Music USA, American Composers Forum, American Music Center, and the National Endowment for the Arts. He has had multiple residencies at the Yaddo and MacDowell artist colonies, the Isabella Gardner Museum and Marlboro Music. 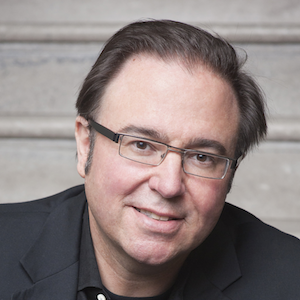 Ludwig has served on the faculty of Yellow Barn and the Ravinia Steans Institute, and is Artistic Director of the Curtis Young Artist Summer Program. Born in Bucks County, P.A., Ludwig comes from several generations of eminent musicians including grandfather Rudolf Serkin and great-grandfather Adolf Busch. He holds degrees from Oberlin, The Manhattan School, the Curtis Institute, The Juilliard School, and a PhD from the University of Pennsylvania. Ludwig serves as the director of the composition faculty of Curtis and is the Gie and Lisa Liem Artistic Advisor and director of the Curtis 20/21 Contemporary Music Ensemble. Dmitri Tymoczko (born 1969, Cambridge, Massachusetts) is a composer and music theorist who teaches at Princeton University. His book A Geometry of Music (Oxford) has been described as “a tour de force” (The Times Literary Supplement), a “monumental achievement” (Music Theory Online), and, potentially, a modern analogue to Schoenberg’s Harmonielehre (The Musical Times). His two CDs, Beat Therapy (“far reaching yet utterly entertaining,” Newmusicbox) and Crackpot Hymnal (“ebullient … polystylistic … kinetic … vividly orchestrated and vibrantly paced,” Sequenza21), are available from Bridge Records. A third CD, Rube Goldberg Variations, will appear in 2017. The author of the first music-theory article ever published by Science magazine, he has received a Rhodes scholarship, a Guggenheim fellowship, and additional prizes from the American Academy of Arts and Letters, the Radcliffe Institute for Advanced Study, Tanglewood, the Society for Industrial and Applied Mathematics, and others. His music, which often draws on jazz and rock, has been performed and commissioned by groups including the Amernet Quartet, the Atlantic Brass Quintet, the Brentano Quartet, the Corigliano Quartet, Flexible Music, Gallicantus, the Gregg Smith Singers, the Illinois Modern Ensemble, Janus Trio, the Kitchener/Waterloo symphony, Network for New Music, Newspeak, Pacifica Quartet, Synergy Vocal Ensemble, Third Coast Percussion Quartet, and Ursula Oppens. Kristel Pappel (born on November 6, 1961) is an Estonian musicologist specialized in the research areas of history and of theory of opera and music theatre. She studied violin and musicology at the Estonian Academy of Music and Theatre (EAMT), completing her PhD in 2004 („Opera in Tallinn in the Nineteenth Century“). 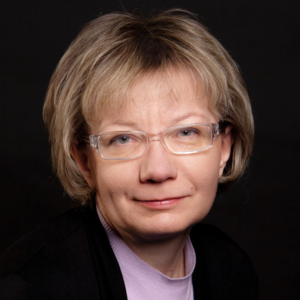 She is Professor of music history at the Estonian Academy of Music and Theatre, where since 2015 she is also head of the centre for doctoral studies. 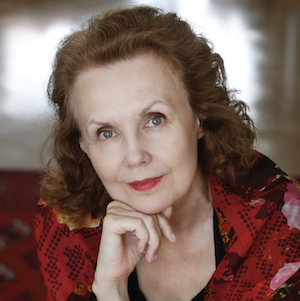 She has received several research scholarships, including: Stadt Lübeck, Forschungsinstitut für Musiktheater, Universität Bayreuth, International Wagner Society, Viro-Säätiö Helsinki etc. Between 2011 and 2014 she was appointed guest professor for music theatre at the Vienna University. In addition she has been guest lecturer at several universities: Göttingen, Dresden, Leipzig, etc. She has published several articles in Estonian, German and English. She is editor (with Michael Heinemann) of the essays by Joachim Herz (3 volumes, 2010–2012, Köln) and of the anthologies about August von Kotzebue (co-operation with the Berlin-Brandenburgische Akademie der Wissenschaften, series Berliner Klassik, vol. 22 (2016) and vol. 25 (2017)). Tze Yeung Ho (b. 1992) is a native of Oslo and identifies as a ‘Norwegian-Canadian composer of Cantonese descent residing in Estonia.’ Tze Yeung represented Norway in the UNM (Ung Nordisk Musikk) festival of 2015 held in Helsinki, Finland, where his saxophone concerto ‘ingest thrice, as prescribed;’ received its premiere by the Avanti! Chamber Orchestra (FI). He represented Norway in the same festival again in 2018 with his chamber operetta in collaboration with writer Linda Gabrielsen, jeg gir faen i magnoliaen? in Bergen (described as “an exercise in extremes” – James Black in Seismograf, DK). 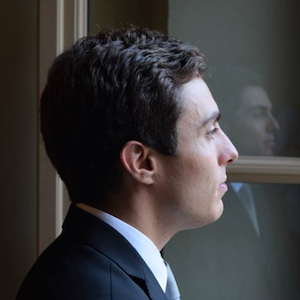 He is the first prize recipient of Land’s End Ensemble’s 17th annual composition competition. Some highlighted activities include his participation as a resident artist in the PRAKSIS interdisciplinary arts program held in Oslo, collaboration with Heidi Dahlsveen in the project 23.27 at the Fortellerfestival 2017 (Norwegian Storytelling Festival), development of a choir-performance work with Norwegian dramaturge Marius Kolbenstvedt, and his involvement in an opera project with the Oslo National Art Academy (KHiO) in the Ultima Festival. Tze Yeung has worked with an array of performers and artists in different facets, including the NyNorsk messingkvintett (NO), Trondheim Symphony Orchestra (NO), Elisabeth Hetherington (NL/CA), Matti Pulkki (FI), Caroline Hausen (DE), MolOt Ensemble (RU), Ukho Ensemble (UA), Heidi Dahlsveen (NO), Thirty Fingers Trio (LT), Honghong Zheng (NO/ZH), Decho Ensemble (US), Michael Bridge (CA) and so forth. A selection of Tze Yeung’s scores are available at NB Noter, the new music publications of the Norwegian National Archives, and as well at the Canadian Music Centre. He has graduated from the University of Toronto and the Norwegian Academy of Music, where he holds a bachelor and a master degree respectively. 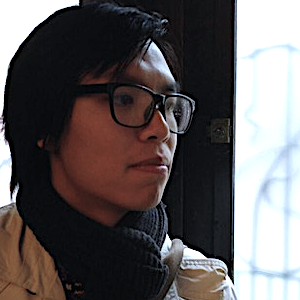 Tze Yeung is currently completing his PhD studies in composition at the Estonian Academy of Music and Theatre. 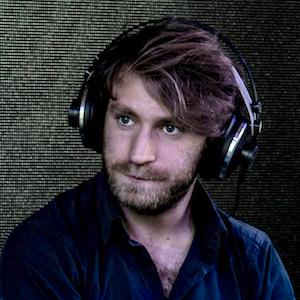 He is a co-founder of Ensemble +47, a sinfonietta for contemporary music based in Oslo. Tze Yeung is, as well, the chairman of the Norwegian chapter of the UNM (Ung Nordisk Musikk – Nordic Youth Music) festival from 2019 and the current treasurer for the Periferien – nyMusikk Oslo concert series. 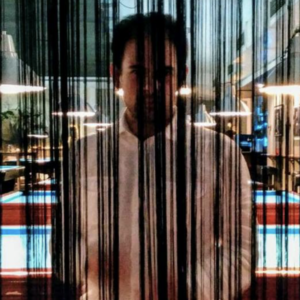 Tze Yeung is an associate composer of: The Norwegian Society of Composers, nyMusikks Composers’ Group, Canadian Music Centre, and of the Hong Kong Composers’ Guild. His former and current mentors include Gary Kulesha (CA), Trond Reinholdtsen (NO), Lars Petter Hagen (NO), Asbjørn Schaathun (NO), Alexander Weinstangel (CA/HR) and Toivo Tulev (EE). 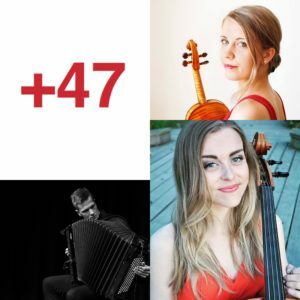 Ensemble +47 was established by Oslo-based performers and composers in 2016 with a mission to bring music of living composers to a wide audience. Although it is a sinfonietta-sized group focusing on a repertoire of contemporary music, the ensemble also performs in various smaller constellations in different settings. +47 has worked in collaboration with esteemed young conductors Nils Erik Måseidvåg and Edvin Simenstad for full-ensemble concerts. It has also commissioned new works by Jonas Skaarud and Martin Hirsti-Kvam with support of composers’ funds, played in the concert series of nyMusikks komponistgruppe in Norway and held a feature concert as part of the celebration of Norwegian Academy of Music’s establishment. The trio from Ensemble +47 participating in HighScore festival this year consists of its members: Aliisa Neige Barrière (violin), Kamilla Ræder Kvarstein (cello) and Andreas Angell (accordion). Katsiaryna Shapachka was born on August 18, 1992 in the city of Minsk. In 2012 she graduated with A level diploma from the Republican College at the Belarusian State Academy of Music. In 2017, Katsiaryna graduated with honors from P.I. Tchaikovsky Moscow State Conservatoire. At present, she is a teacher of a special cycle and chamber ensemble in Belarussian Republic Music College. 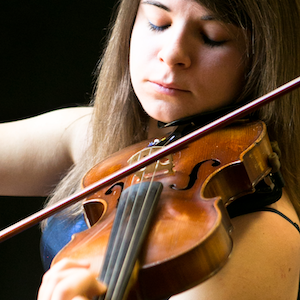 Katsiaryna actively performs in Belarus and abroad as a soloist, as member of a chamber ensemble and a quartet. During her studies at RMC she repeatedly appeared in the subscription concert of the Belarusian State Philharmonic Society, she soloed with the State chamber and symphonic orchestras of the Republic of Belarus. During the training in the Moscow State Conservatory, Ekaterina took part in number of concerts as a soloist and as a member of Chamber orchestra under the guidance of Honored Artist of Russia, Professor E. Grach. Katsiaryna Shapachka is a laureate of International music competitions and the Laureate of the Presidential Foundation for the Support of Talented Youth. 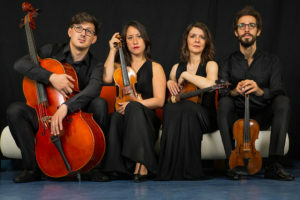 Quartetto Indaco (Eleonora Matsuno, Jamiang Santi, Francesca Turcato and Cosimo Carovani) was formed at the Scuola di Musica di Fiesole in 2007, thanks to the encouragement and help of Piero Farulli and Andrea Nannoni. Subsequently, the ensemble participated in master classes with numerous internationally renowned quartets including the Artemis, Brodsky and Prometeo Quartets as well as in specialized courses with members of great quartets such as Milan Skampa-Smetana Quartet, Hatto Beyerle-Alban Berg Quartet, Rainer Schmidt-Hagen Quartet and Krzysztof Chorzelski-Belcea Quartet. Quartetto Indaco is currently pursuing a Master’s Degree in chamber music at the Musikhochschule of Hannover under the guidance of Oliver Willie, member of the Kuss Quartet. The quartet has performed on concert series’ and festivals throughout Italy including a performance at the Palazzo del Quirinale in Rome (which was broadcast throughout Italy by Rai Radio 3), as well as in festivals such as “Aosta Classica”, “Festival dei due mondi” in Spoleto and “Festival della creativitа” in Florence and Prato”. They have appeared in various European countries including Ireland (Dublin and Galway), Latvia (Riga and Jurmala), Germany (Podium Festival in Essen, Hannover and Bad Pyrmont), Sweden (Stockholm and Vдnersborg), and Holland (The Hague and Kerkrade). Since 2017 the quartet is participating to the project Le Dimore del Quartetto in collaboration with ADSI and Associazione Piero Farulli. Finalist at the prestigious string quartet competition “Premio Paolo Borciani” XI edition, the quartet has won several prizes in international competitions including the “Premio Papini” and “Enrica Cremonesi”. In 2014, they were the recipients of the special prize “Jeunesses Musicales” at the X edition of “Premio Paolo Borciani”. The quartet has performed with many illustrious international artists, including the pianists Bruno Canino and Carlo Balzaretti, Davide Formisano, Paolo Beltramini (solo clarinet of the Orchestra della Svizzera Italiana) as well as Valentin Erben, the cellist of the Alban Berg Quartet with whom, in 2012, they performed the quintet for two cellos by Schubert. Quartetto Indaco is also dedicated to contemporary music with the goal of giving a voice to new musical language: In this regard they were awarded with “Premio Giuseppe Scotese” as best performer during the 53rd edition of ‘Festival Nuova Consonanza’ in Roma; as well Quartetto Indaco is ’ensemble in residence’ at the ‘International HighScore Festival’ of Pavia since 2010. The quartet has received enthusiastic and glowing reviews from many music critics. The Ttela Newspaper of Sweden wrote “their performance is like a stupefying show of fireworks, so brilliant that the walls could hardly contain it”. Il Giornale di Vicenza describes the quartet as “compact, full of polish and exuberance, a real revelation. The Quartetto Indaco shows lucid precision, concentration and great ability”. unassisted fold is a german-italian duo formed by flutist Sonja Horlacher and guitarist Flavio Virzì playing acoustic and electronic music. Their interest for diversity and contaminations brings them to collaborate with composers and multimedia artists from different areas. They have been invited to perform in new and experimental music festivals, art galleries, squats and museums such as: curva minore contemporary sound (IT), Euro microfest (D), Kaskadenkondesator (CH), Historisches Museum Frankfurt (D). Their recordings are released by Limit cycle records and Classwar Karaoke. Fabrizio Nastari (b. 1990, Roma) is a composer now enrolled in Master program of Composition under the supervision of Toivo Tulev and Helena Tulve at the Estonian Academy of Music and Theatre in Tallinn. 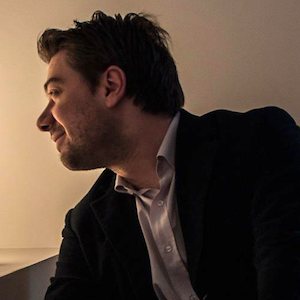 He earned a Master Degree in Composition with F. Antonioni, a Bachelor degree in Choral Conducting and Composition with Mauro Bacherini, and studied in a Bachelor program in Electroacustic Composition with L. Ceccarelli at the Conservatory “O. Respighi” of Latina. 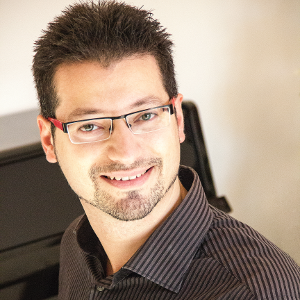 His researches primarily focused on the style Palestrina, are now concentrated on semiotic aspects of music. 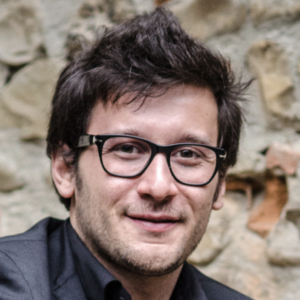 His composition has been performed in european festival such as “RavennaFestival”, “Estonian Music Days”, “HighScore Festival”, “Le forme del suono” and others. He took part in several masterclasses, seminars and workshops with many composers and theorist such as Julia Wolfe, Michael Finnissy, Ivan Fedele, Helmut Lachenmann, Derek Bermel, Dmitri Tymoczko, Filippo Perocco, Doina Rotaru, Richard Causton and others. 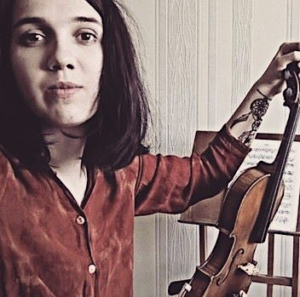 Eliana Rottoli, born in Varese in 1992, is a violinist and graduate student at the “Università Statale di Milano”, studying foreign languages. In 2015 she got the Bachelor degree at the “Conservatorio Franco Vittadini” in Pavia and now she’s attending the Master degree with Cinzia Barbagelata at the “Conservatorio Giuseppe Verdi” in Milan. She plays in several orchestras and chamber groups. 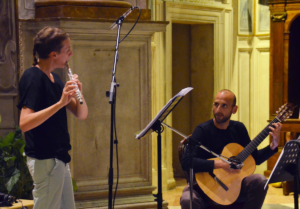 She is co-founder of the “Trio on the Road” with flute and cello, perfecting themselves at the “Scuola di Musica di Fiesole” with Giampaolo Pretto. Together with her music activity, she pursues her passion for arts, thanks to her artistic formation in the High School. Since 2016 she is a member of the highSCORE Staff as a Production Assistant.